Ruth Mwangi is the compliance officer at BioIQ. In this role, she is responsible for implementing and maintaining a strong compliance program and works across the organization to create a strong culture of compliance through education and consultation. Mwangi provides guidance on regulatory requirements, leads risk management activities and maintains organizational policies to ensure compliance with HIPAA, HITRUST and other industry standards. As Compliance Officer, she partners with legal, IT and quality teams to ensure BioIQ stays ahead of compliance and security requirements impacting the healthcare industry. 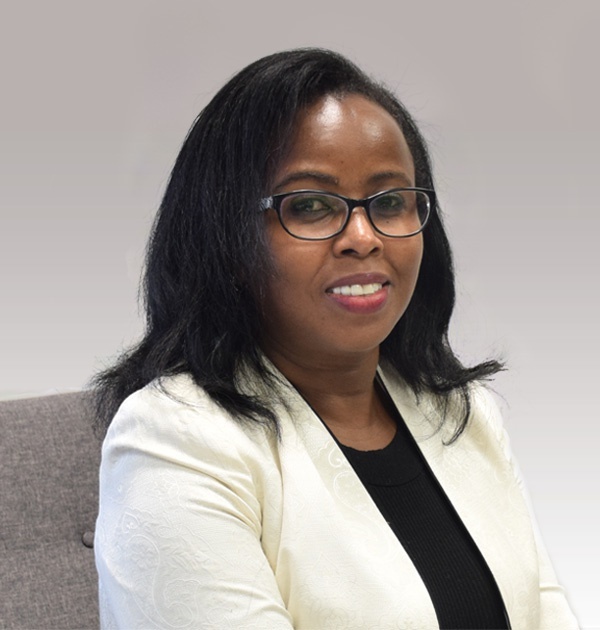 Mwangi is a certified HITRUST practitioner and accomplished compliance professional and brings over 11 years of healthcare experience, including various roles with increasing responsibility in regulatory, SOX, SSAE 16 and IT compliance. In addition, she brings experience in various risk management frameworks including the NIST Cybersecurity Framework, COBIT and PCI DSS. Mwangi is a graduate of Kennesaw State University where she earned a master’s degree in conflict management. She earned a bachelor’s degree in science education from Moi University, Kenya. She lives in Kennesaw, Georgia, and has two children. In her free time, she enjoys travelling, hiking and reading.